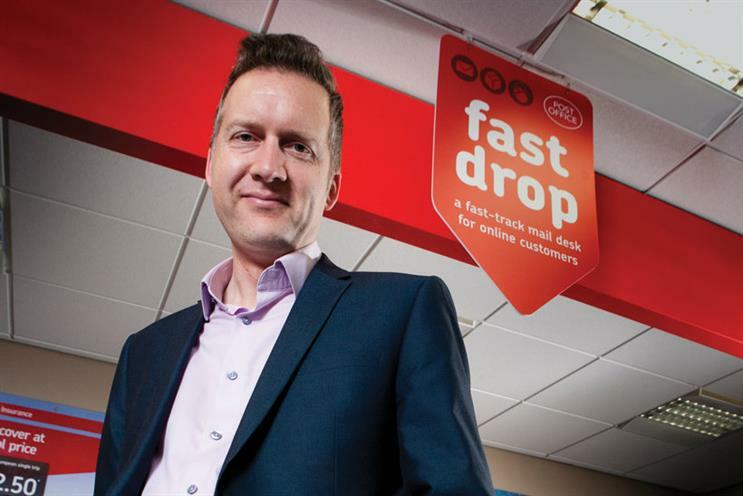 Post Office CMO Pete Markey has told the ISBA conference that while ad-blocking is not an immediate worry for him, he thinks he and other marketers should combat it by "raising the bar" on the relevance and quality of their advertising. His comments came in a panel debate about adblocking that included Adblock Plus international account manager Rotem Dar, Financial Times global ad sales and strategy director Dominic Good and PageFair head of ecosystems Dr Johnny Ryan. Markey accepted that "sloppy advertising in the past" has contributed to the rise of ad-blocking, but said the statistics he had seen showed it was growing in the younger audience. He said: "The business that I’m in has a very wide mix of customers but they tend to be 35-plus, predominantly focused in the 50, 55 age bracket, so I don’t see it as a huge worry at the minute. "Am I worried about where this could end up? Yes. But the challenge I’m taking away for our agencies, media and creative, is how do we keep raising the bar and make sure the content we’re putting out is both relevant and great." The audience also heard from Dar, who claimed that Adblock Plus had been installed 500m times to date, and from Ryan, who was representing PageFair, a company that claims to help publishers recover advertising revenue lost to adblockers. The panel took exception to the character of Adblock Plus’ acceptable ads programme, which the FT’s Good claimed means marketers will ultimately pay a higher cost for ads because it requires publishers to pay Adblock Plus to have ads deemed acceptable by Adblock Plus shown to its users. A fifth of the FT’s traffic comes from users of ad-blocking software and these are people of all ages, according to Good, who added: "It’s an issue because it denies us the ability to monetise that traffic." Dar, addressing criticism that Adblock Plus was in charge of deciding the criteria that make an ad acceptable in its view, said the company was passing control of the criteria on to an independent committee. He had earlier described the criteria in vague terms, saying they were "based on studies, on user surveys and our experience". The company had, he said, now decided that: "We don’t want to make the decision. We had no choice about doing that at first, but now we’re evolving." Nevertheless, the independent committee system was criticised by Ryan, who said: "What format of ad you show to people who have blocked ads is a question that should be answered by everyone in this room except us. "I don’t think it’s acceptable to have one standard imposed by an ad-blocker or even an ad-blocker with a committee where you don’t know where the cash goes … What we want to see is advertisers, consumers and publishers get together and come up with a standard for the future of advertising on the web." It was also criticised by Wood, who said: "I agree with Rotem that we have to clean up rubbish advertising but I disagree with the thought that we should outsource ideas about what’s acceptable to a third-party company which has a a business model that’s invested in ad-blocking itself." He was subsequently backed by Markey, who expressed concern about the potential for power to shift away from media owners. "What worries me is where does the power lie? My trust would be with the media owner, so if we were advertising with the FT there’s an expectation that [talking to the FT’s Good] you know your audience, what they want and don’t want. "That for me is part of where the value lies, and I would worry if that got eroded in some way. Part of the value of what you buy into is the equity of what you know about your audience that matches what I know about my audience. I would hate to see that power shift in the wrong direction." The panel was moderated by the outgoing ISBA director of media and advertising Bob Wootton.